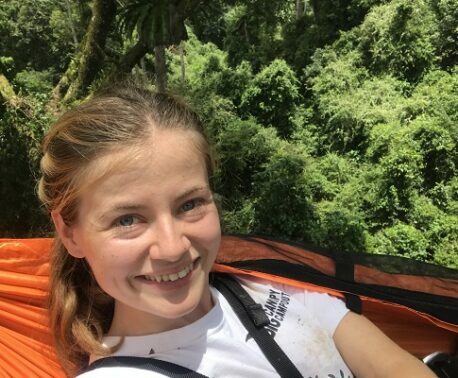 Employees of BIAZA – the British and Irish Association of Zoos and Aquariums – are taking on a Chilli Challenge to raise funds for land purchase in Mexico’s Sierra Gorda as part of BIAZA Buy an Acre. On Friday 28 March 2014, the ladies of the BIAZA office – wearing sombreros – will be racing against time to take 100 photos of 100 Mexican items, people and animals in London in 12 hours. The Chilli Challenge will kick off with a visit to London Zoo, where the team will be introduced to a Mexican Red-kneed Tarantula, an Axolotl and a Tequila Splitfin. Other locations in the Chilli Challenge will include Camden Lock for some Mexican folk art, the Mexican Chamber of Commerce, the British Museum for some Mayan sculpture and Mexican bars and restaurants for regular chilli hits to fuel the mission. Due to the wide area to be covered, the team will combine running with public transport. The team would be delighted to receive suggestions of Mexicana in London. On the day supporters can follow the team’s progress via Facebook and Twitter. You can support BIAZA HQ’s Chilli Challenge by donating via www.justgiving.com/BIAZAchili. The Chilli Challengers are pictured above (left to right): Nicky Needham (Programmes and Policy Coordinator), Kirsten Pullen (Chief Executive), Andrea Marlowe (Head of Finance), Zara Gaspar (Communications Manager) and Fatemah Abidi (Communications and Research Assistant). The aim of BIAZA Buy an Acre is to raise £10,000 to safeguard 100 acres of land in Sierra Gorda, Mexico, in partnership with WLT and WLT’s Mexican partner Grupo Ecológico Sierra Gorda (GESG). The BIAZA camera-trap will be presented to Roberto Pedraza, GESG’s Technical Director, when he visits London in May. WLT has been working in partnership with BIAZA since 2006. WLT has been supporting land purchase in Mexico through Buy an Acre since 2007.